Over on the Get Funky blog today we are showcasing the Forgotten Funky that is the Spooky Dooky download. Over on the blog you can see the wonderful items created by the Funkettes. Made from a square of paper they are really simple, even for little fingers and you can decorate them as you wish, they're just fun to do. The papers in the download are so colourful that you don't actually have to embellish them if you don't want to, but we had some fiendish foam stickers that finished them off perfectly. 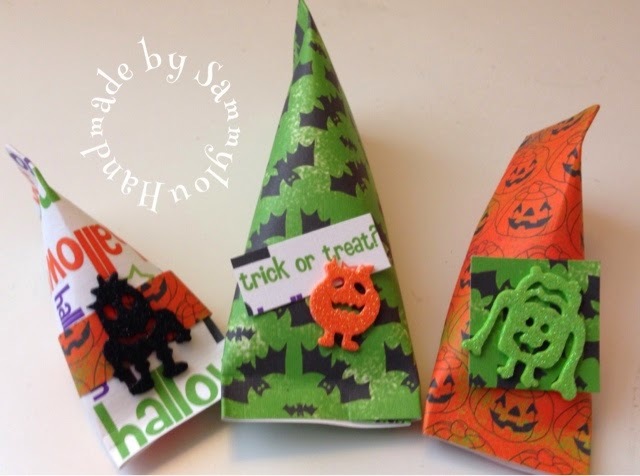 Please make sure you pop on over to the blog and take a look at the fabulous creations and I'd we have inspired you toake some Hallween makes then please remember to share them over on our Facebook page.